Almost every American family history begins with the story of an immigrant. What are the immigrant stories in your family? When did they arrive? Where did they come from? What did they do once they made it to America? These are some of the most exciting questions for a family historian to explore. Everyone loves to hear the story of your family's journey to America. Fortunately, the immigrant journey generated a wealth of records - whether they're focused on the journey across the Atlantic or the process of becoming an American citizen. And much more! Of course, later records tend to have more information, so it all depends on when your ancestor arrived. 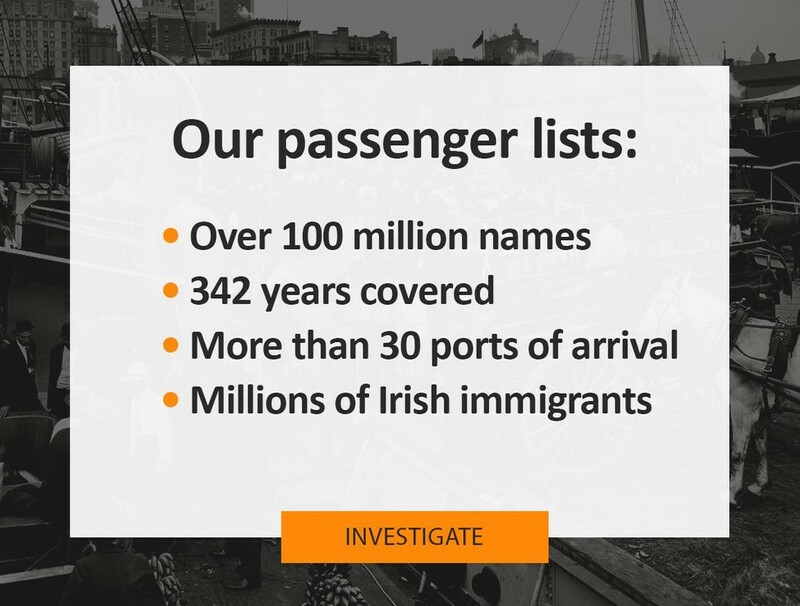 Our passenger lists contain ship records from America's busiest ports. Major east coast immigration hot spots of New York, Boston, Philadelphia, and Baltimore are included. We also have other ports covered, including Florida, California and even states on the Great Lakes. Our lists focus especially on Irish immigration and are particularly strong during the times of the Irish famine and the great immigration to America. Look at the whole list: Make sure to examine the whole list to get a picture of who came along with your ancestor. They could have traveled with other family members, more distant relatives, or friends. This can be particularly useful tactic if you're having trouble finding your immigrant ancestor's birthplace: You can uncover a hot lead by discovering the birthplace of an associate, which will help narrow down where your ancestor was born. Name variants: Make sure to check the name variants box, or better yet - use wildcard searching. 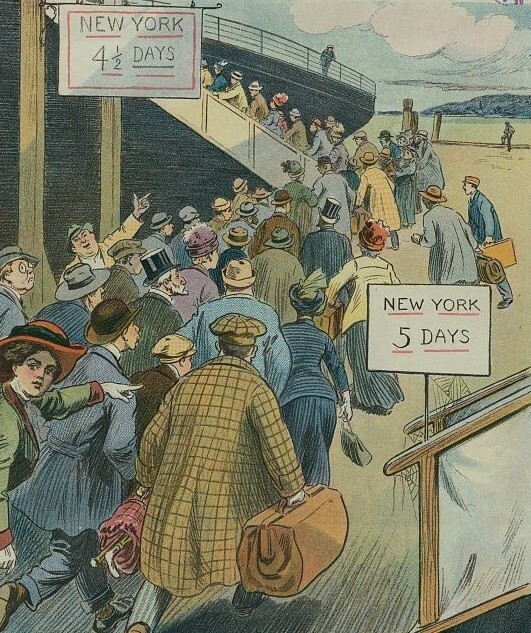 Mistakes due to miscommunication or spelling were common on passenger lists. Examine the image: Never just look at the transcript - the image often contains more information or clues that will be very useful, such as your ancestor's occupation or class of ship they arrived on. Once the United States began to regulate the process of becoming a citizen, the amount of information captured in the naturalization process exploded. Our records, most of which are for citizenship applications after 1900, contain multiple documents for each person. Our most recently added collection of naturalization records covers Connecticut, Massachusetts, New York and Pennsylvania. Other states included in our records are California, Illinois, Michigan, Minnesota, Ohio, Vermont, New Hampshire, Maine and West Virginia. Take advantage of our indexing: In our most recent addition of naturalization records, we have indexed every name, including spouses and children. This means you may find an ancestor listed who was already a citizen if they were born to an immigrant parent who then applied for naturalization. So make sure to plug in those second generation names, especially if you don't have many details on their parents! 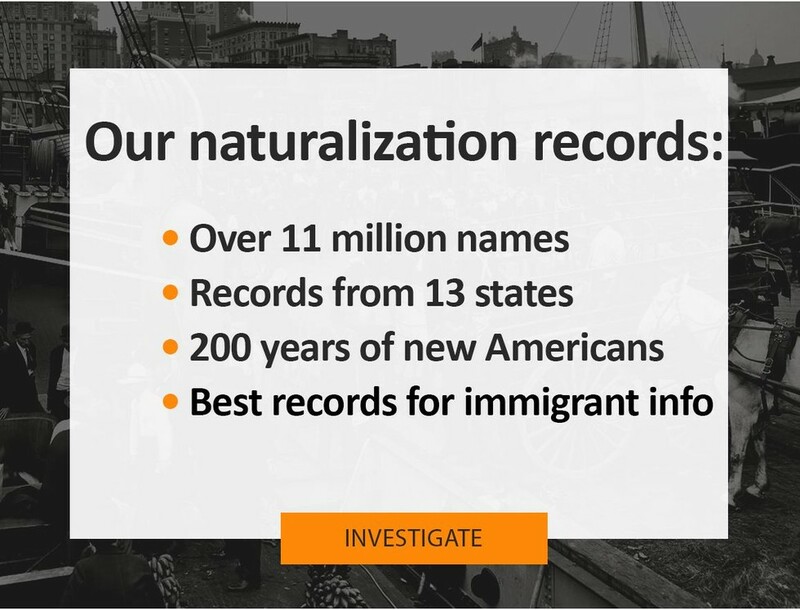 Don't miss out on the photos: Most of these records are more than one page - naturalization was a multi-step process that took several years and generated several different sets of forms. Make use of the "next page" button to see what else there is on your ancestor - some of the applications required photos, and this is where they might be. Discover if your ancestor had any plans to travel abroad - US passports became required at the middle 20th of the century (but were required for travel during certain other periods in history, such as the Civil War, World War I and World War II). Don't miss the second page: Like naturalization forms, there will often be a second page. After 1914, this second page contained a photograph. Not just for immigrants: Remember, any US citizen can apply for a passport, so you'll likely find more than just your immigrant ancestors in here. 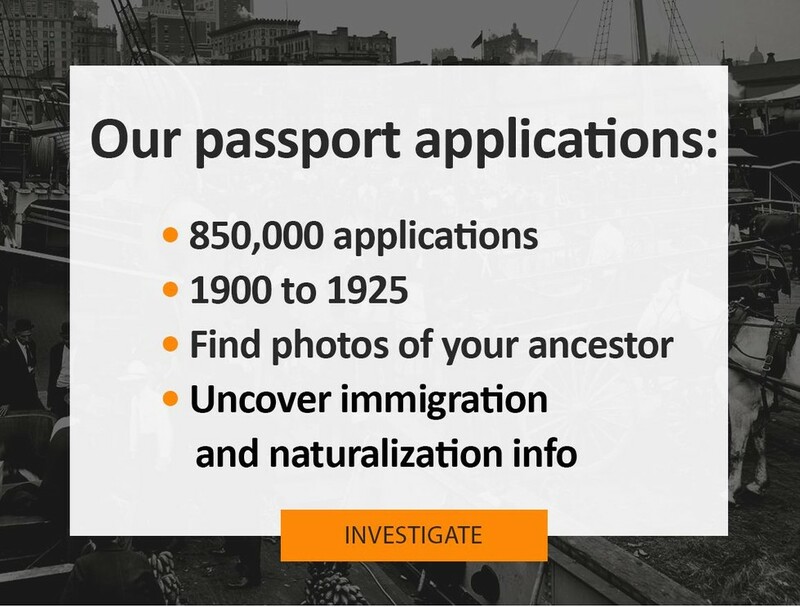 If the person was an immigrant, though, you'll be able to see when they were naturalized, which can help uncover those records. How did this immigrant boot-maker amass a fortune in America?